February 15, 2018 John Hoctor Why Watch Me Think? There are currently lots of conversations about how building genuine “empathy” with consumers is likely to be a critical ingredient in the future success of many companies. We have a lot of evidence to highlight the benefits companies achieve by finding rich seams of empathy in an authentic way. What I would observe is that if, at the same time as saying they want to build empathy, companies cut off the resources and deplete the teams of people that are charged with delivering on that promise, it is unlikely to succeed. “Doing more with less” has become the call-to-arms for many insights and CX teams globally. Yet reductions in both the numbers and therefore the combined experience of the staff retained are commonplace. The headlines around big data and AI may suggest that a sliver bullet exists. One that will magically solve all these issues of a reduced resource. Unfortunately for the bean counters, that’s not true. It/they won’t solve the questions that needs answering. Though they can enhance the answers. And process the structured questions at a faster pace. So not quite silver blanks but, as it stands, certainly not silver bullets. There is a truism that will stand the test of time and that is great research requires both accurate data and those great researchers who are given the time to think. For smart business leaders, there has never been a better time to use research to create competitive advantages by mining for genuine empathy. 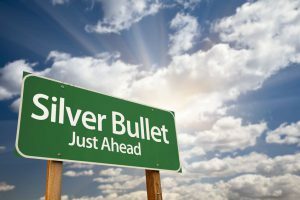 But it is likely to require a change of mindset, a longer term approach, and a genuine commitment… not shooting those purported silver bullets into their own corporate feet.